People are interested in stories. Storytelling helps people relate to one another. We often use staff birthdays as the occasion to highlight their stories and transform them from the service provider you enjoy on a cruise to a flesh and bones human being with diverse experiences and talents. To date we have written about Biz Noonan, Elaine Corcoran Pohl and Chef Jim Pohl. Their birthdays fall after the season: Biz in November, Elaine in January and Jim in February. There’s more time to write their stories in the off-season. June 29 is Rachel Pohl’s 40thbirthday. Rachel’s birthday occurs just as the busy season is getting started and right before July 4th weekend so penning her story is much tougher! We’re pleased to honor her with the spotlight. R Responsible- if nothing else, Rachel is responsible and reliable. If you assign her a task or ask her to do something, you can be sure it will be done thoroughly and well. A Athletic- Rachel has always been active, participating in organized sports in high school like soccer, gymnastics, tennis, basketball, volleyball, cheerleading and cross country skiing but also in self-motivated fitness activities like snowshoeing, snowmobiling, ice fishing, TRX, hiking, mountain climbing, Beachbody and Insanity exercise videos. Adaptable – “Growing up in such a small isolated town like Raquette Lake is a two- edged sword. It’s a great place to grow up. When you are raised in a bigger area, there are a lot more choices, more jobs. Once you hit college, if you go that route, you realize that most everything in life is geared towards a different pace so you have to be very adaptable. You have to learn that the Raquette Lake way isn’t necessarily the way the rest of the world operates. Operating from a RL base means working hard to understand the standards the rest of the world is operating with. Aunt- Avery is one lucky girl to have Rachel as an aunt. They do lots of fun things together, including hiking, camping, sleep-overs and special events like attending the very last Ringling Brothers Barnum and Bailey circus after 146 years of performances. 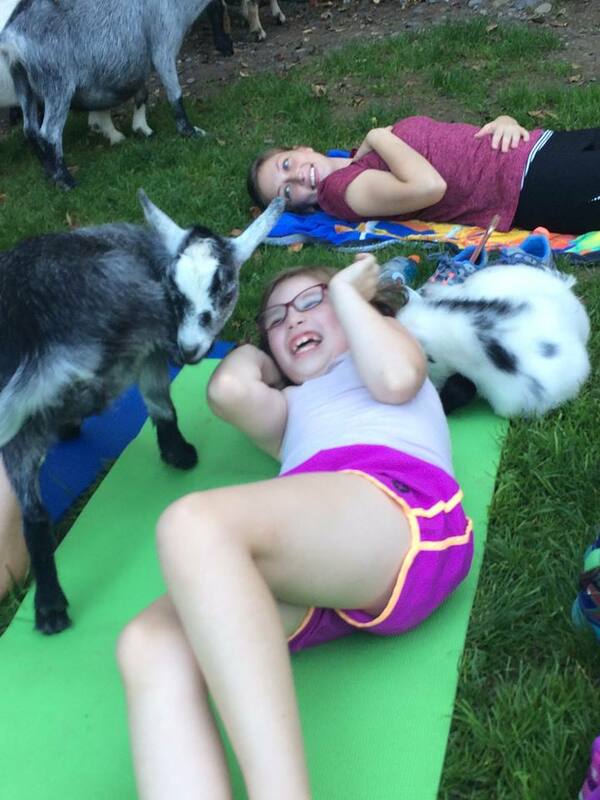 Or yoga with baby goats. C Conscientious-the dictionary defines this adjective as “of a person wishing to do what is right, especially to do one’s work or duty well and thoroughly.” That’s Rachel to a T. Kinda goes hand in hand with responsible and reliable. For the first 10 years operating the dinner boat we carried wines strictly from Hazlitt Vineyards on Seneca Lake. We had custom labels depicting landmark places on the lake such as Pine Knot Pinot Noir and Boulder Bay Chardonnay. People loved purchasing this wine, drinking it on board and then taking the bottle home as a souvenir. As time progressed we attracted more wine savvy guests who wanted a greater variety of wines and producers from all over the world, not just the Finger Lakes. Rachel overheard one of the guests speaking lovingly of Chef Jim’s food, gushing about how good the food was, but speaking disparagingly about the wine. ( Up to that point we only carried NYS wine, bought from Hazlitt in the Finger Lakes.) She determined right then she would upgrade the wine list. After all, great food deserves great wine! But first she needed to educate herself on wine. She didn’t feel qualified to make those judgment calls on which wines to buy, which to pair and we know many in the world of wine drinkers are not a forgiving audience. She enrolled in the Level I Seminar at The International Wine Guild in Denver, Colorado in the fall of 2010. (The International Wine Guild is one of the top five professional wine schools in the US for professional wine education per Food & Wine Magazine, May, 2011). Might as well learn from the best! She learned so much, and found out there’s so much more to learn, that she enrolled the following winter for the Level II Advanced Wine Course, designed to prepare the student for management level position as a beverage manager or a buyer for a restaurant. The following year she enrolled in a food and wine pairing course with the goal of working with her brother, Chef Jim, to offer wine pairing dinners on the WW Durant. Upon completion of these three courses she now felt confident and competent enough to put together a discerning wine list and plan and execute wine pairing dinners and other special wine events. Rachel loves planning fun events so it was a natural progression for her to plan themed cruises like Gilligan’s Island and Jimmy Buffet cruises, comedy cruises and murder mysteries to name a few. She also works closely with clients who private charter the Durant for special occasions like corporate outings or weddings. H Hard-working- You can’t grow up in the Pohl family and not be hard-working! Rachel attended Raquette Lake Girls Camp from age 6 to age 10, participating in all the fun things you do at camp like swimming, sailing, gymnastics, horseback riding. At 10 years of age, her father, Captain Dean, felt it was time to go to work! So she went from living a life of luxury and pampering to that of a working girl: maintaining the clay tennis courts at the Girls Camp (brush, water, roll), icing the drinking fountains, mowing lawns,watering flowers and being line person on the water taxi. That was quite the transition! Rachel works hard at selling and promoting her Elixir Bloody Mary mix. She relies on distributors to sell her Elixir but she realizes that’s just the first step. It takes a lot of work and time on the road and at meetings, building relationships with the sales team as well as the store owners. You can have the best Bloody Mary mix in the world but if sales reps aren’t promoting it and consumers aren’t buying it, store managers won’t order or re-order. She works hard to make their job of promoting her Elixir easy. E Enthusiastic- Yep, she shows intense and eager enjoyment and interest in anything she undertakes. When she’s at trade shows selling her Elixir, by the end of the trade show she has made friends with all the other vendors near her and even motivated them to commit to taking a cruise on the WW Durant. She’s totally positive, optimistic and friendly. Below is a recent FB post while attending a trade show. This is so Rachel. 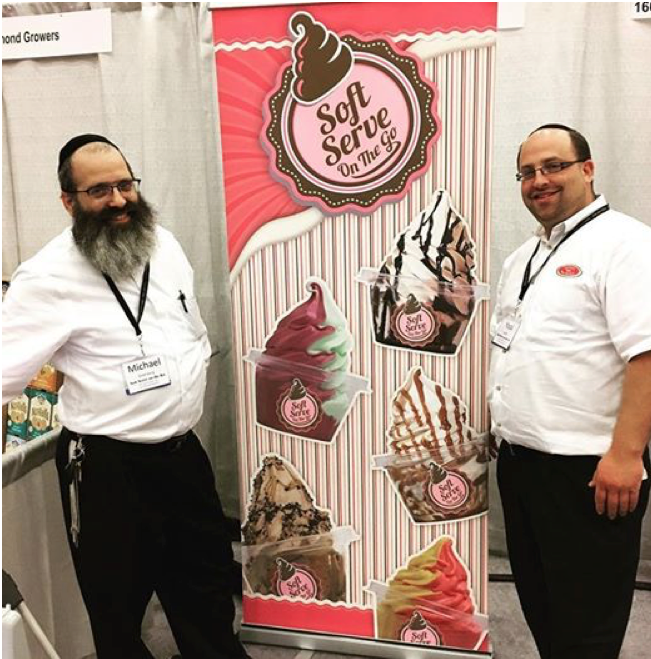 Sharing a booth with Michael & Yossi, 2 Orthodox Jews! So fun! And I’m learning all about Jewish culture! When she was in elementary school, for three years she sponsored a kid for $7 per month, out of her own money. Those big dark saucer eyes on the TV commercial of some hungry little kid from a South American country tugged at her heart and she responded. C Courageous – This is a gal who went white water rafting on the Snake River with her brother Bill in Colorado; who attended Space Camp in Huntsville, Alabama alone when she was 10; who bicycled from Fairbanks to Valdez, Alaska and back on a tandem recumbent bicycle (over 1000 miles); who drove solo from Fairbanks to Raquette Lake because she didn’t want to leave her first car in Fairbanks; who wanted to travel to Antarctica but could find a job on line only as far south as New Zealand- so she went there instead and worked the winter of 2004 on a cherry farm. She must have made an impression on the folks with whom she worked because two Kiwi came to visit her in RL on two separate occasions. She was even brave enough to snuggle up to a tiger when she visited a tiger refuge in Thailand. Remember, this is a girl who grew up in tiny Raquette Lake. Curious- Rachel is curious about the world. She loves traveling and meeting people. Besides the places mentioned above, Rachel has traveled to Russia, Cuba, Slovenia, throughout northern Europe, Taiwan, Zambia, Zimbabwe, Botswana and Malawi. It does help to have a sister who is part of the international teaching community whom you visit! And to have international J-1 students who work for RLN in the summer whom you also visit! A Animal Lover- For the longest time she was a dog lover. Ask her about Red and Noah Balboa. As her life became more hectic she found she didn’t have the time a dog requires for happy and healthy cohabitation so she switched to cats, who are much more independent and require less time and attention. She worked for Lynn at Kliffside Kennel in Eagle Bay during a time in her youth when she thought she might become a vet tech. R Risk-taker- She applied for and got a loan to turn her Bloody Mary Mix business from a do-it-yourself make-the-Elixir – in- your –commercial- kitchen to an LLC with a co-packer making the Elixir. You have to be comfortable with risk when you place your order with the co-packer who has a minimum order requirement of 2000 cases (24,000 bottles). That’s a lot of Elixir! See courageous and entrepreneurial. O Organized- Everything in its place, every time. This is so necessary when you work in such a cramped space as the bar on the WW Durant; or when you have your Elixir on the shelves of over 800 retail stores throughout New York State. L Leader- She’s a take-charge, git ‘er done kind of person, good at inspiring people with whom she works. She looks for ways to motivate people and firmly believes planning fun experiences together is a key way to create community and connection among her co-workers. I Intelligent Brains as well as brawn and beauty. N Natural Relaxed, spontaneous, unaffected. E Entrepreneurial Her penchant for organizing and operating a business, for seeing opportunity everywhere, began in early childhood. She was a voracious reader of the Babysitter Club book series. She was inspired to found a Sunday afternoon play group based on the Babysitter’s Club. Every bartender has a bloody mary mix recipe. Everyone loved Rachel’s recipe. It was her brother Chef Jim who suggested she start bottling her own Bloody Mary mix. So she did. She had to follow NYS protocol for her recipe. She started out in RLN’s commercial kitchen where she could produce 8 cases in a 10 hour day. After it cooled overnight, she still had to put labels onto the bottles and shrink-wrap the cap. Her father said, “You’re never going to grow unless you get some outside help.” Rachel struggled with that for a long time because she thought it was important for Rachel to make Rachel’s RL Elixir. “I was bottling Elixir day and night and it had ceased to be fun. Because so many of my customers were seasonal businesses, they needed fresh product at the same time as our busy season. That meant that I was squeezing in bottling sessions after dinner cruises, starting the 4 hour process at 10pm once the kitchen was free. I quickly realized I could not keep up with the demand. Which was a good thing! So I decided to contact a bottler contract manufacturer, who used my exact recipe (we made the first batch together) They’re set up for volume. I could produce 8 cases in a day. They produced 100.” Now she spends her time selling and sampling new accounts, growing her business during the off season instead of waiting for the BM mix to come up to temperature before bottling. Last winter, instead of spending time on the road selling, she focused her energy on developing four new Bloody Mary flavors which she plans to launch in liquor stores this August. Be on the look-out for, or ask your local liquor store to stock these new Bloody Mary mixes: Charbroiled BBQ, Indian Curry, Asian Inspired and Bloody Caesar. P Planner. Persistent. Problem Solver. 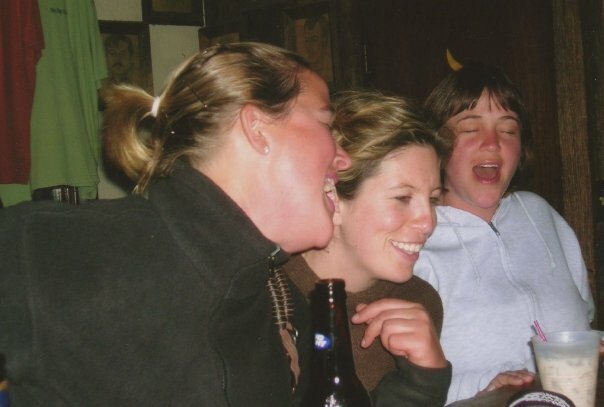 She wanted to find some kind of paid work during the 8 week period from the time the tour boat season ends to the time the snowmobile season begins and she works at Big Moose Inn as a bartender. She researched online and discovered Walmart hires temps during the busy Christmas buying season, from about November 1 right up to Christmas. She called, she interviewed, she accepted the job offer. True she did have to drive 90 minutes to the distribution center in Marcy, NY. True, she did have to clock in at 5 am and work a 12 hour shift until 5 pm (which meant getting up at 2:30 am for a 3:15 am departure from Raquette Lake). BUT, she was able to get almost 40 hours of paid work in a 3 day period of time ( Sat, Sun, Mon), at a time when there is no paying work around Raquette Lake or the Central Adirondacks and the hourly rate was decent, definitely worth the effort. She bought Mickey and Minnie costumes to surprise her niece Avery on her 3rd birthday. Avery took one look at Mickey and Minnie and ran crying to her mother, scared to death! Hummmm. What to do with 2 Mickey/Minnie costumes that cost an arm and a leg???? She decided to create a small business thinking people would hire Mickey and Minnie as entertainment for a child’s birthday party. It was a good idea- it just didn’t go anywhere as a business! So, to make use of the costumes, we decided to offer Mickey and Minnie photo ops and hugs on our pizza cruises. The kids loved it! O Obsessive about germs and fingerprints. No fingerprints or water marks ever allowed on wine glasses! All bar glasses are polished before service. Overcoming obstacles (similar to problem solving) -she created a version of Bloody Mary mix that could be sold in NYS liquor stores, compliant with NYS Liquor Authority rules & regulations. How can you have Vodka on the shelf and no Bloody Mary mix? H Hardy- The dictionary says “robust; capable of enduring difficult conditions.” Rachel has been tested and she passed. 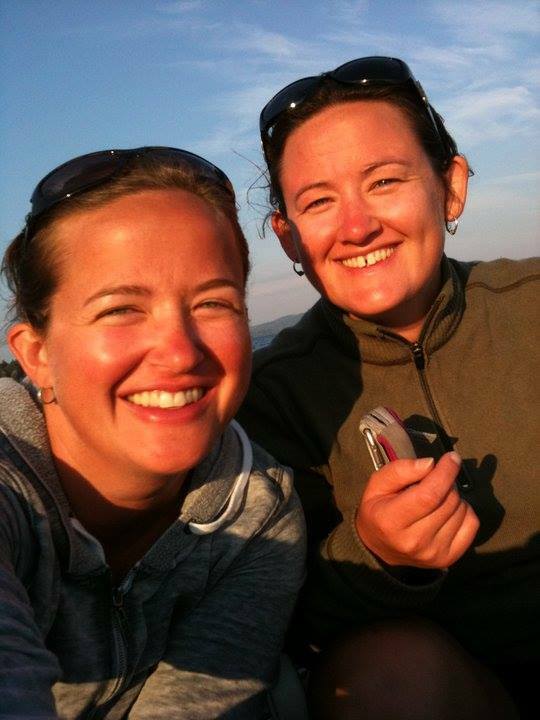 She lived through 2 years in Alaska at 60 below; she and her brother Jim lived for a winter in Las Vegas and currently Rachel lives in Raquette Lake at the Marion River Carry, all which are extreme environments. Not many people, especially single females, would like it. She loves it. Rachel likes extreme experiences. Talk about being different from a lot of women……Rachel was asked what separates you from many other females in the outside world? L Loyal She and Erin- best friends since 3rd grade. She and Biz- best friends since 11th grade. Likeable- Rachel’s smile lights up the room. She smiles with her eyes as well as her lips. She’s friendly and easy to like. Rachel is a people-person with a proclivity to like anyone she meets.